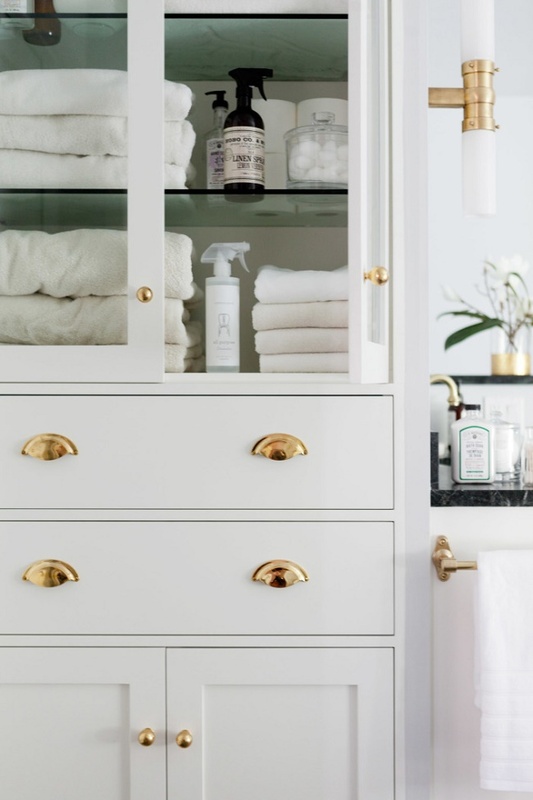 This swoon-worthy bathroom is designed by Homepolish's Rosa Beltran. The first thing that catches my eye is the striking fish scale floor tiles. They are truly chic and gorgeous, don't you think? 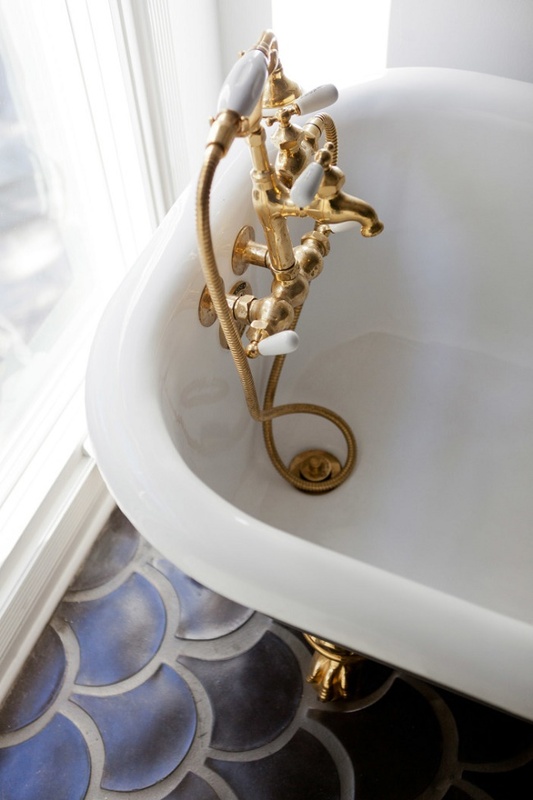 In addition, these beautiful tiles provide a delightful texture to the space, which I really love. 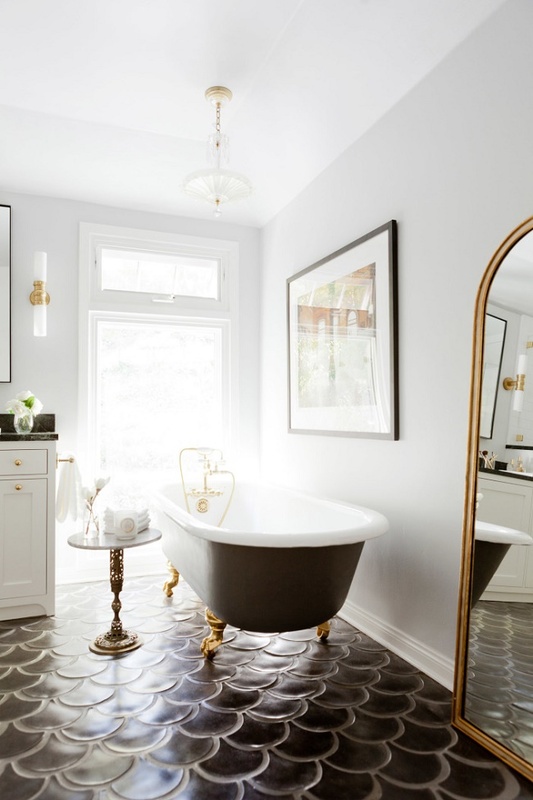 The vintage clawfoot tub with the painted matte black exterior is absolutely charming and a wonderful focal point in the room. 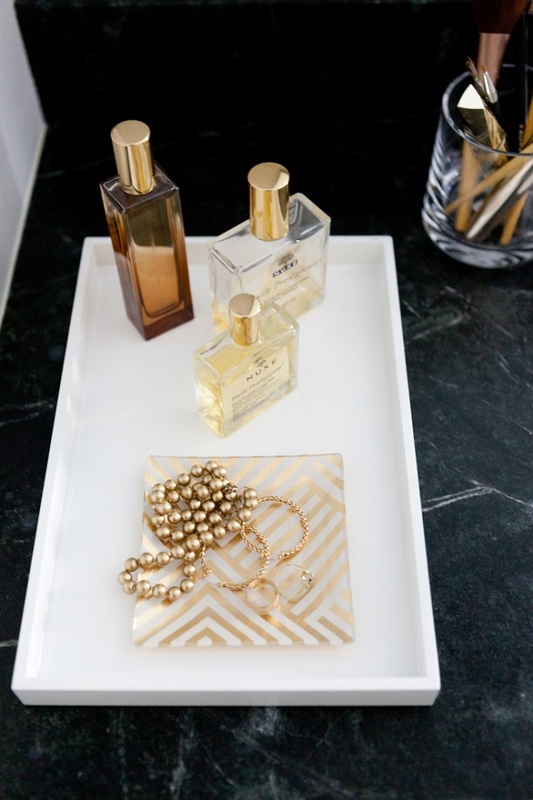 The addition of brass fixtures, brass hardware and brass accents exude a sense of warmth and luxury to the space. 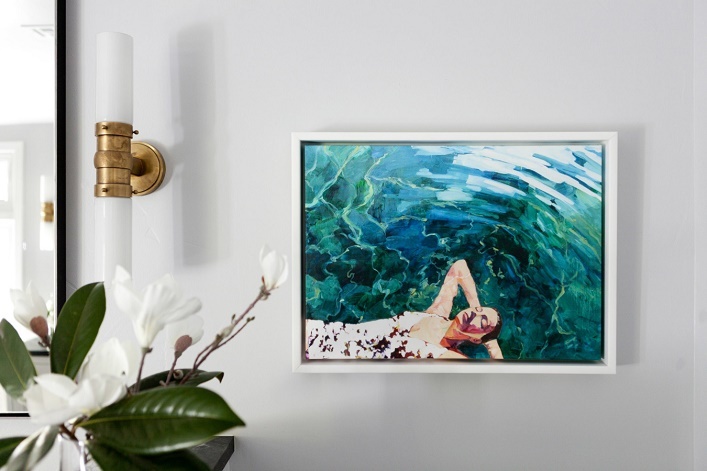 Meanwhile, the lovely art provides a pop of color and visual interest in this neutral bathroom. 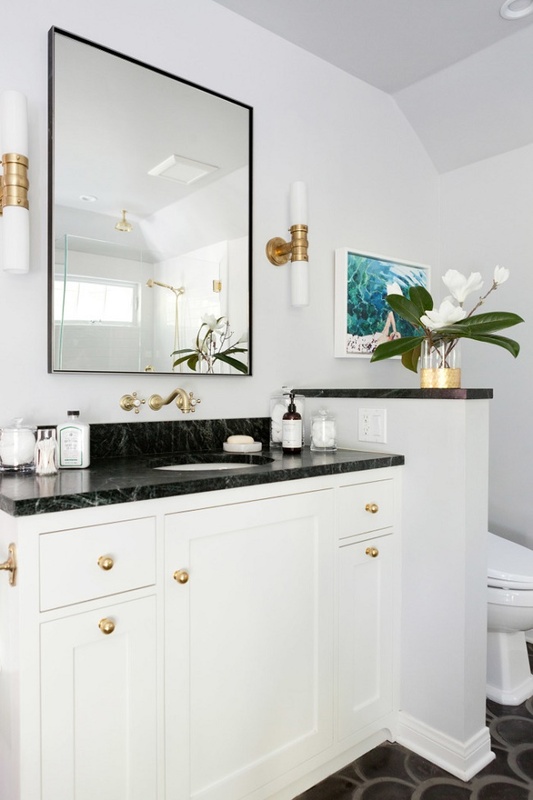 With a classic, timeless color scheme of black, white and brass, I am sure this stunning bathroom would still look relevant in many decades to come. What are your thoughts? 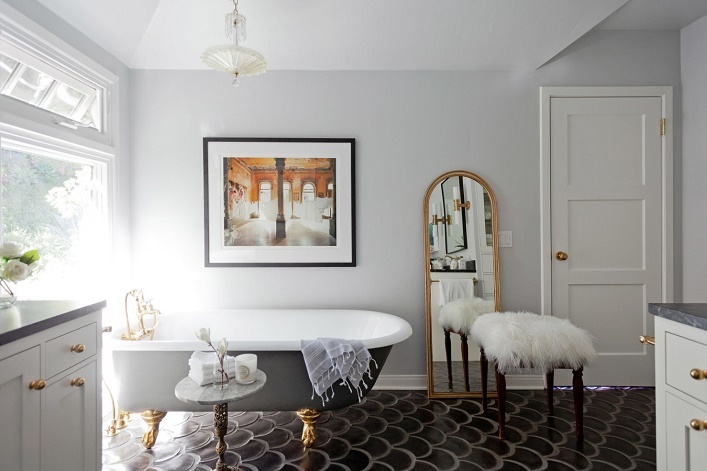 Are you drawn to this fabulous bathroom as much as I do? Which element do you find most attractive? I would love to know! The floor would have to take first place for me.